VA Loan Closing Costs 2019. What Does the Veteran Pay? 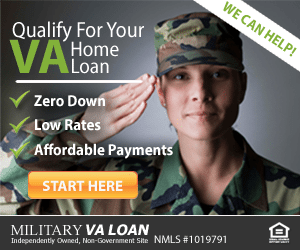 A down payment is not required on VA loans. However, the veteran is responsible for closing costs. The veteran can pay them out-of-pocket, or receive seller and/or lender credits to cover them. VA loan closing costs average around 1% – 3% of the loan amount on bigger home purchase prices, and 3% – 5% of the loan amount for less expensive homes. Get A Closing Cost Estimate. Click Here. 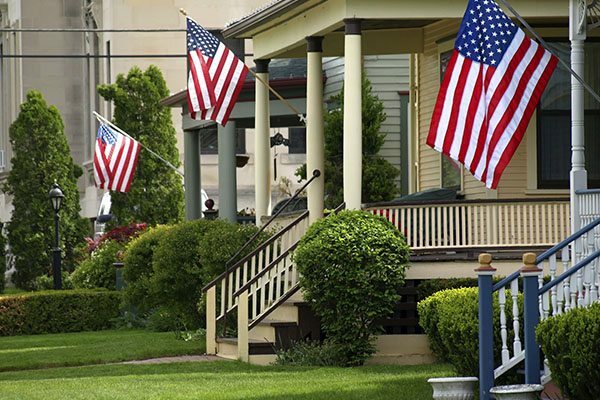 The seller is allowed to pay all of the veteran’s closing costs, up to 4% of the home price. So, it is possible to avoid paying anything out of pocket to buy a home. Tip: If you have little or no funds available for closing cost, let your real estate agent know that you are purchasing your home with a VA loan. Your agent may be able to request that the seller pay for some or all of your closing costs. Below are some definitions and rough estimates of closing costs amounts for a VA loan. Keep in mind that the types of fees and their amounts vary greatly by geographic location. Your scenario might look a lot different. The best way to get a better estimate is to talk to a loan professional about your situation. But the following will give you a general idea of potential costs. Click Here To See Today's VA Rates. The VA limits the amount of fees the lender can charge. This is a great benefit to VA loans. This fee goes directly to the Veteran’s Administration to defray the costs of the VA program. This is not a fee that is generally paid for in cash at closing, because usually, VA homebuyers opt to finance it into their loan amount. In that case, it doesn’t increase out-of-pocket expense for the veteran. For detailed information about the funding fee, visit our funding fee page. The VA caps the lender’s compensation on VA loans to 1% of the loan amount. This fee is meant to compensate the lender in full. Fees for items such as processing and underwriting may not be charged if this 1% fee is charged to the veteran. Discount points can be paid by the veteran, provided the fee goes directly to reducing the interest rate. Discount points are separate from the origination fee, because this money is used to buy a lower interest rate rather than to compensate the lender. For an in-depth look at origination fees and discount points, see our Discount Points blog post. Companies (other than the lender) that are involved in the transaction are called third parties. Examples are title and escrow companies, credit reporting agencies, and appraisers. Their charges are called third party fees. Here are common fees and estimated amounts. The lender will request an appraisal straight from the VA website. VA will then select an approved VA appraiser. The VA appraiser will determine the value of the home as well as ensure it meets minimum property requirements for VA loans. If you are using a VA streamline to refinance your home, an appraisal is not required and this fee will not apply. If your lender is requiring an appraisal on a VA streamline refinance, shop around for another lender. Check Today's VA Home Loan Interest Rates. This fee varies greatly because it is based on the purchase price of the home, the loan amount, and geographic location. The title fee on a small purchase price may be only a few hundred dollars, while a high purchase price can soar well over $1,000. The title report and title insurance protects the lender and owner of the home in case someone claims ownership rights to the house, and wins in a court of law. If that were to happen for any reason, the title insurance company would reimburse the lender and owner of the home for the loss. There are generally two types of title fees: 1) the lender’s title policy which protects the lender, and 2) the owner’s policy which protects the future owner. In some areas, the seller of the home pays for the owner’s title policy, and the buyer pays the lender’s policy. But it depends on local customary practice. Generally the owner’s title policy is more expensive. In some cases the buyer pays for both the owner’s policy and the lender’s policy, in which case the title fee more than doubles. For instance, if the lender’s title policy is $450 and the owner’s title policy is $650, and the buyer has to pay them both, it would turn out to be an $1100 fee. Make sure your purchase and sale contract defines which parties are paying which fees so there are no surprises at the end. This fee is set by the county or jurisdiction where the home is located. “Recording” means that the sale or refinance becomes public record, so that the county knows who is responsible to pay taxes on the home, which banks have loans out on the home, etc. This is a fee that is charged by a credit reporting agency. The lender must pull a credit report to determine your past credit history. The report usually shows three credit scores from the major credit bureaus — Experian, Equifax, and Transunion — and the middle score is used for qualification purposes. If you’re wondering if you can qualify for a VA loan with your credit score, contact us here. The lender will pull a flood certification, or “flood cert,” on the property to determine whether it’s in a flood zone. Most properties are not in a flood zone. But if yours is, you will need to purchase flood insurance (see “Prepaid Items” section below). A company will survey the property to determine where all physical property lines are on the property. This is not typically required in many areas of the country, unless there are property line disputes or questions about boundaries. Attorneys can help in negotiating and interpreting the sales contract as well as help with a timely closing. They are not required in every state. In states that require them, it’s best to call around and find an attorney who knows real estate and is not too expensive. Note that the VA does not permit the veteran to pay an attorney for anything besides title work. Prepaid items are those which the buyer pays in advance. Lenders require insurance policies and taxes to be paid when the home purchase closes. Unpaid taxes and insurance can lead to the home being seized by the government or destroyed by fire without compensation, both of which are bad for the lending bank (and you). This is an ongoing insurance policy, paid every year, on any home that is in a flood zone. The lender requires the home to be insured against flooding, which is not covered by the standard homeowner’s insurance policy. You will pay the policy’s first-year premium at closing, which could add quite a bit to your upfront cash requirement. The insurance is based on the value of the home being insured, so it can vary greatly. If the property is in a flood zone, determine the yearly premium and have that much extra on-hand by the time you close the loan. This is the standard insurance policy that protects against things like fire, trees falling on the home, etc. It does not cover flooding and may or may not cover earthquake-related damage. The cost is based on the value of the home being insured. The full year’s premium will be due at closing. The lender requires this prepayment because they want to make sure any damage done to the home will be repaired. Homeowner’s insurance is just like any insurance policy — it renews every year and will need to be paid again each year. Usually, the lender collects 1/12th of the yearly premium with the mortgage payment, and pays the insurance company for you yearly. This fee varies greatly because it is determined by 1) the taxes and insurance on the home; 2) the time of year the sale closes, and; 3) when taxes are collected in the property’s jurisdiction. These funds are required to “prime the pump” so to speak, so that when taxes and insurance become due, there’s enough in reserve to pay them. The best way to estimate the upfront price tag, you’ll need to get an estimate from your loan professional after the property is chosen and an estimated closing date is established. 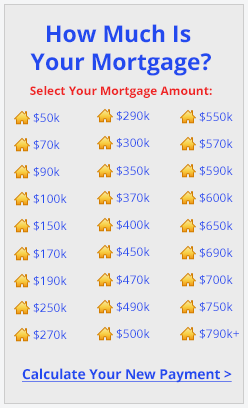 Check Today's Live VA Loan Rates. Some fees are not allowed to be charged, per VA loan guidelines. The escrow company is responsible for collecting and distributing all monies involved in the transaction. Escrow will receive the earnest money, any wired amounts from banks, down payments from the buyer, closing cost assistance from the seller, etc. The escrow company then divvies out the money to the appropriate parties — real estate agent commission checks, the seller’s current lender, the seller, etc. In addition, the escrow company makes sure all parties sign all the final loan documents and sale documents. When it’s all said and done, the escrow company sends documents to the county or jurisdiction to record the sale. The fee charged by escrow for preparing final loan documents. Lock In A Low VA Home Loan Interest Rate Here. Sometimes there are original documents that need to be hand-carried or sent via overnight service, and can’t be emailed or faxed. In this case, the escrow company will often charge a courier fee to ensure these services are paid for. The veteran is not allowed to pay these fees, however. They must be covered by the lender. Fees charged by the escrow company to send a notary to the borrower for a signing appointment somewhere other than the escrow company’s office. This is a fee the lender sometimes charges upfront before the borrower takes an application. This is not allowed on VA loans. When you apply for a VA home loan, you can rest assured the VA-approved lender won’t charge you an application fee. This list of allowable and non-allowable fees above is not all-inclusive and there may be other fees on your purchase transaction that are not listed here. In that case, it’s best to contact your VA lender to find out if the charge is allowable on VA loans. If you would like more information about closing costs, call (866) 240-3742 to speak with a mortgage professional who can offer free advice and help you understand your loan options. Or, we can connect you to a knowledgeable loan officer. The best way to find out if you qualify to buy a home with a VA loan is to request a free rate quote. Call (866) 240-3742 or simply complete our online form. Click Here For Today's VA Rates.